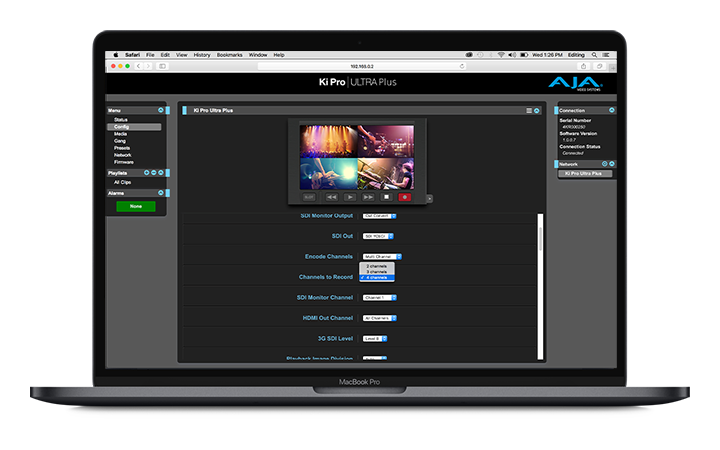 AJA Ki Pro models are file-based recording and playback devices that create high-quality files on computer-friendly media.You can encode to Apple ProRes, Avid DNxHD, DNxHR, or H.264. With extensive video and audio connectivity from analog component to 3G-SDI and HDMI v2.0, you can interface with virtually any type of camera, router, switcher or display. Via industry standard codecs and connections, pass on your captured files for on-set, post production, OTT and more. All Ki Pros are intuitive to operate, with familiar VTR-like buttons and a clear, easy-to-understand user interface, and a powerful web-browser based UI available on all models. 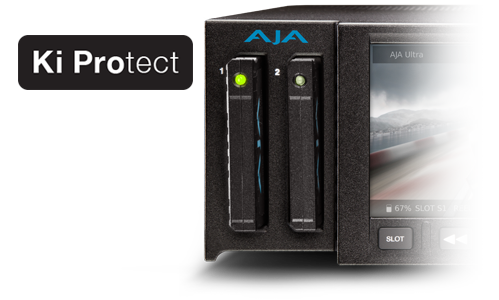 With six models available, AJA offers a Ki Pro that best suits your workflow requirements. The majority of Ki Pros offer Ki Protect, a feature that helps ensure data integrity if a media drive is accidentally removed or loses power during recording. 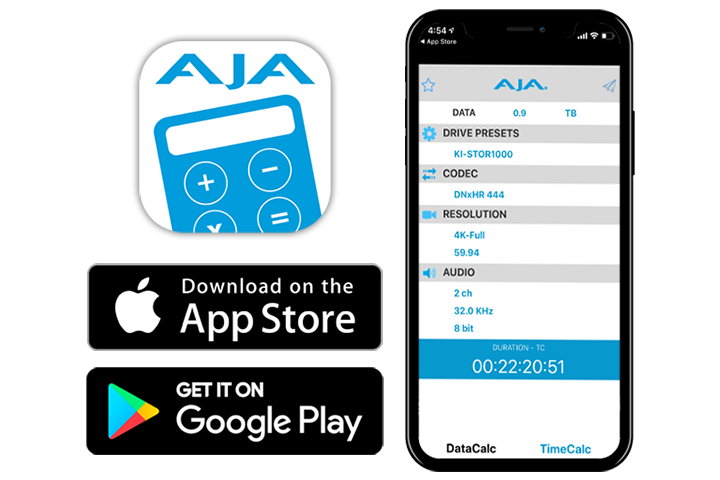 The Ki Protect feature automatically pre-allocates recording space on the media drive for video, audio and timecode when the record button is pressed. While recording, the file header is then continuously updated every time new data is written. That way, the only loss that should be incurred is the last few frames that were in transit to the media drive when the operation was interrupted. Frames that are already recorded will be preserved, providing greater peace-of-mind on-set and in the studio. Ki Pro products can be remotely controlled from anywhere using a web browser on any OS with their built in webserver. Multiple Ki Pro Ultra Plus, Ki Pro Ultra or Ki Pro GO units can even be controlled from a single web browser interface making them an ideal solution for multi-camera recordings. Most Ki Pros also offer a standard RS-422 port for direct connectivity to RS-422 controllers. 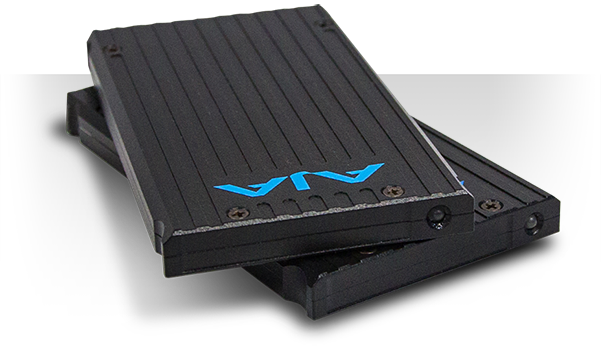 Capture directly to rugged and reliable AJA Pak SSD media with Ki Pro Ultra Plus and Ki Pro Ultra. Ki Stor SSD is the media for HDD for the Ki Pro Rack Pak and Ki Stor Media; as well as their corresponding Docks for computer transfer are available from AJA resellers in a variety of capacities to best suit the demands of your production. Widely available standard USB media is used for Ki Pro GO.